With the start of a very snowy and cold week, it is hard to believe Spring has sprung and Easter weekend is fast approaching! If you have not made your family plans, no worries as AML highlights five local restaurants offering Easter Brunch this season. All require reservations, or highly recommend making them, so call today to schedule your holiday brunch plans at these top suburban restaurants. The Gables, always a terrific, traditional backdrop to any special family occasion, will be offering Easter brunch from 10:30-2:30pm. The Gables, always a terrific, traditional backdrop to any special family occasion, will be offering Easter brunch from 10:30-2:30pm. Adults are $27; children less than 10 years of age are $12. Menu highlights include: fresh fruit platter, corn bread, banana bread, Grand Marnier French toast with caramel apple compote, leg of lamb, baked ham, succotash, create your own omelet, crab benedict, assorted desserts and more! Guests can enjoy the ambience of The Gables charming patio-featuring a new canopy and heat lamps. Easter brunch will be hosted in the Grand Ballroom at Valley Forge Casino Resort from 10am-3pm. It is $34.95 per person. Chef Tony Clark and his talented culinary team have put together quite a spectacular menu which includes: an American artisan cheese display, smoked salmon & lox, carving stations featuring pineapple and ginger glazed roast ham and slow roasted prime rib, a breakfast station with stuffed French toast, huevos rancheros, a Belgian waffle station and much more. There will also be a children’s table and a chocolate display for guests. The casino is requiring reservations for all parties. Join King of Prussia’s popular The Capital Grille for Easter brunch featuring their take on classic brunch dishes such as lobster eggs benedict, a carving station featuring roasted kona-crusted tenderloin, a raw seafood bar, breakfast station, dessert table and much more! The Capital Grille’s children’s menu features favorites such as mac n’ cheese, mini burgers and fresh fruit. Brunch will be served from 10:30-3pm. It is $49 per adult, $15 per child. In addition, The Capital Grille will be serving their a la carte dinner menu from 3:30-9pm. 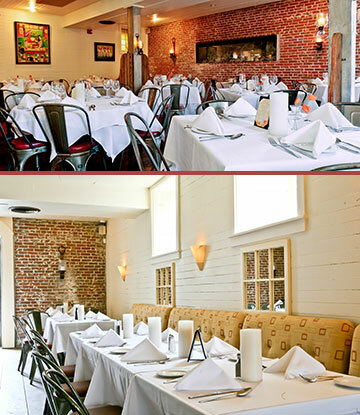 Ambler’s gorgeous Dettera is open 10am-5pm this Easter Sunday offering their regular brunch menu. Menu highlights include: salumi and cheese board, Kennett Square mushroom soup, house cured salmon gravlax, short rib stuffed crepes, fluffy roasted banana pancakes, chicken pot pie, stuffed rustic French toast and more. Kindly note, Dettera will not be open for dinner that evening. Easter brunch reservations are highly encouraged. Located in the heart of Suburban Square, Ardmore’s new hottest dining spot is the ideal pick this year for Easter brunch! The Saint James will be offering their regular, a la carte brunch menu from 11am-3pm. Brunch highlights include: East Coast mahi mahi taco, Maine lobster roll, Berkshire pork belly ‘sandwich,’ an extensive raw bar featuring East and West Coast oysters, shaved kale salad, brioche French toast, smoked salmon platter, breakfast burrito and more. 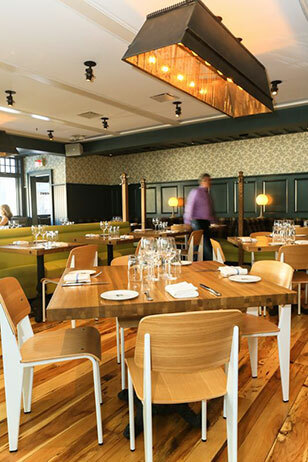 Weather permitting The Saint James will seat guests on their beautiful, outdoor patio!